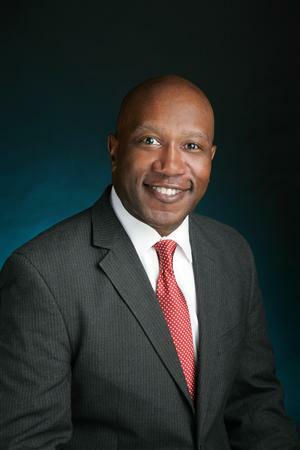 Dr. Calvin Watts began serving as superintendent on June 15, 2015. After an extensive national search, Dr. Watts was selected for his proven leadership record, strategic vision, passion for educating students, communication skills, human resource experience, strong work ethic, team- and consensus-building expertise, and his many years of working with diverse populations. Formerly an assistant superintendent in Gwinnett County Public Schools (GCPS) in Suwanee, Georgia, the 13th largest school district in the United States. Dr. Watts was an integral part of a leadership team with a district enrollment of 174,500 students, 15,600 certificated and classified staff members, and a $1.7 billion budget. During his tenure at GCPS, he developed a reputation for excellence in K-12 district level leadership, turnaround and strategic planning, school improvement, and civic engagement. His results-oriented leadership practices contributed to GCPS receiving the Broad Prize for Urban Education in 2010 and 2014. Under his leadership, 100 percent of general education schools in his administrative area met or exceeded state performance standards. Dr. Watts has served as a leader in curriculum and instruction, and has overseen innovative programs including special education, psychological services, and dual language immersion. He facilitates continuous improvement in the areas of instruction, operations, and civic engagement, which has resulted in system-level advancement and increased student achievement. He has also engaged in managing sizable divisional budgets to meet established organizational needs. Dr. Watts has served in diverse and politically attentive settings including Seattle Public Schools, Atlanta Public Schools, Carrollton City Schools (GA), and the Archdiocese of Atlanta. Dr. Watts holds a bachelor’s degree in English from Howard University and received his teaching certification at Western Washington University. His master’s degree in educational administration and supervision is from the University of West Georgia, and he earned a doctorate in educational leadership from Argosy University in Atlanta. He enjoys traveling, cooking, reading, and both watching and playing sports. Dr. Watts is happily married to his wife, Robbye, and they have one amazing son, Devin. Even more, our superintendent is excited about returning to his home state of Washington, and for his family to become rooted in the Kent community.